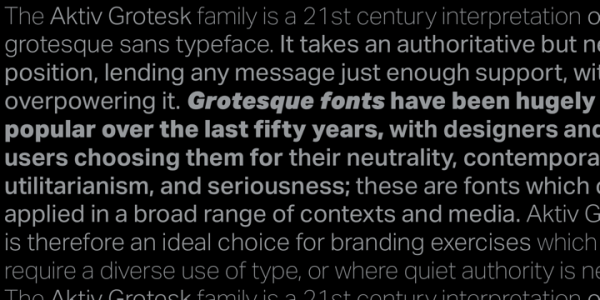 The Aktiv Grotesk family of fonts is modern variation of grotesque sans typeface. 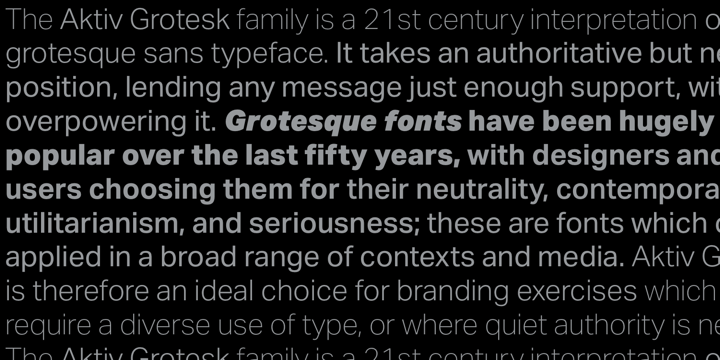 It may appear neutral, but that’s the beauty of it – you can combine it very nicely with some robust serif font types, plus they can easily be applied in various contexts (whether it be web-based media or in print form). Use this font whenever you need to give some authority to your message or to inspire modern feel and seriousness at the same time. Depending on the nature of your project, you can choose between Standard and Corporate Editions.